Earlier this month, we Peanuts accepted the plea from our benevolent overlords at Twins Daily to adopt a prospect. This means that on a bi-weekly basis we'll update the rest of the blogosphere on the doings of one particular player until he graduates to the big club, or floats away into prospect purgatory. We Peanuts are an irrational sort, we like who we like just because it seems like the thing to do in the moment. 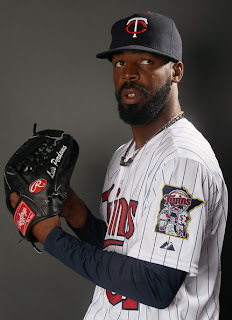 And in the moment, that beard caught our eye and made us convinced that it had a place on the major league roster. A thing of beauty and a joy to behold. A powerful symbol of truth, justice and scruffiness. This was no mere chin warmer, this was a no-holds-barred, Rutherford-B.-Hayes-taunting, Hemingway-prose-poem-inspiring, BEARD OF DOOM! Now we just needed to know more about the pitcher attached to it, and so we adopted Luis Perdomo (and especially his beard), and now he is our very own prized prospect. Luis was born April 27, 1984, in San Cristobal of the Dominican Republic. Though Perdomo is now 28 his beard is slightly younger and has higher upside, having sprouted to hirsiute glory after puberty. Luis is a right-handed relief pitcher; meanwhile the beard is a beard and while it hasn't grown any hands yet, though we do suspect it might conceal a roundhouse kick (a la Chuck Norris). After two partial years with Padres, Luis signed a minor league contract with the Twins last fall and came to spring training in hopes of being slightly less terrible than other prospects. He was not. So, he ended up assigned to AA New Britain. To some this might seem like a career heading the wrong way...to we Peanuts it's simply more time for the beard to develop into a fully-fledged force of fury. To be fair, the time in AA might also be a means of helping Perdomo overcome the stigma of being the garbage man during his time with the Padres (as RJ Henderson points out in this vintage FanGraphs piece from 2009), gaining more importance and relevance to the Rock Cats season could help Perdomo become a future Alex Burnett, and could build his beards' confidence as it confronts the steely gaze of clean-shaven Yankees. Though his season started out with a hodgepodge of performances ranging from good (2 shutout innings with 4 Ks in his debut against Richmond) to nasty (giving up 2 runs and taking the loss without recording an out at Portland), Perdomo has pulled together a solid recent resume, running up a 9 and 2/3s scoreless inning streak over his last 6 appearances--including 2 shutout innings on his birthday, and 2 more last night! He's easily in the top half of Eastern League pitchers in terms of Walk-to-Strikeout Ratio and K's/9 innings and while that might well be expected of a 28 year old pitching to 24 year-olds, Perdomo's GORP (Grizzle over Replacement Player) remains remarkable at any level. Sure, Luis Perdomo might not be in the Twins long-term plans, but let's be frank about this: in assembling a bullpen Terry Ryan has worked the waiver wire, honed in on the Rule 5 Draft, spun trade-upon-trade and scavenged for diamonds in the Free Agent rough. The only thing he hasn't done is gone all Frankenstein on us and assembled a monstrous creature meant to dominate the opposition. If this mad science experiment is Ryan's master plan (and in the spirit of totally erroneous conjecture, let's say that it is) then Luis Perdomo's beard may well serve as a fire baller's inspiration, a batter's nightmare, and a hipster accessory worthy of a return to the big time. We'll check in on Luis Perdomo (and his facial hair) again in two weeks, until then: good night and great beard! Welcome to our Twins blog. If you're looking for "facts" and "stats" you've come to the wrong place. If you're looking for sarcasm, threats of violence and illustrations involving the Beatles and the smoke monster from LOST, welcome! If you're just getting to know us, check out the Peanuts 101 Page at the top of the screen, and feel free to review our Declaration of Principles. 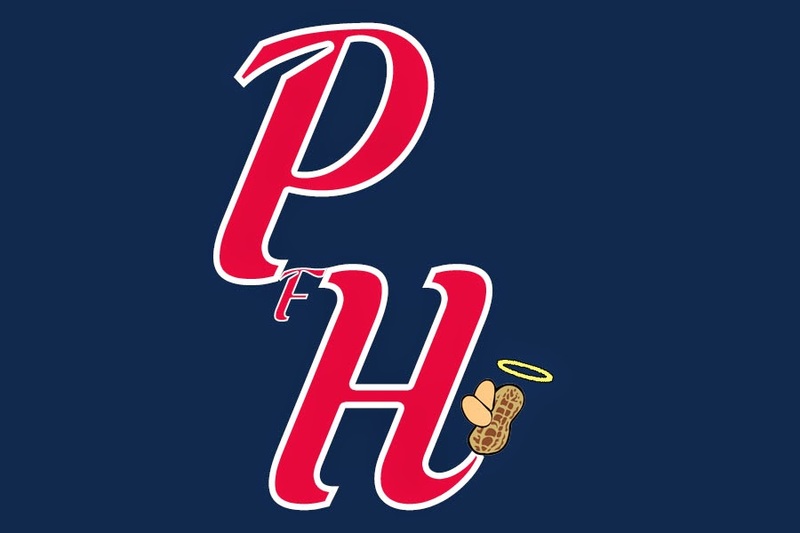 Peanuts From Heaven Incorporated is a satirical website developed for personal amusement and with no malicious intent at all. If you are offended by what you see or read here please contact the authors who will sincerely apologize and bake you cookies...even if you're a Yankee.